Have you ever been told to stay away from “starches?” When you hear the words “starch and diabetes” mentioned what do you think of? Potatoes? Rice? Bread? Starch is one of those things that some people feel confident to can identify, but in general they have trouble defining or describing what they are. For us it's even difficult to define and describe them, because they encompass a wide variety of foods. That's exactly why I intend to provide examples. We'll look at what starch is, where it is found in foods, and how it impacts your blood sugar levels and health. By contrast, simple sugars (or simple carbs) are individual sugars (monosaccharides such as fructose) or 2 sugar units held together by a single bond (such as lactose, which is glucose and galactose, also known as disaccharides). Amylose – long straight strands that tend to break down very quickly. Amylopectin – strands that contain many branches, which break down more gradually. Starch is produced by plants through photosynthesis and stored as granules as a source of nutrition for the plant to grow and stay healthy. It might be in the seed (as in the case of corn) or tuber (in the case of a potato). When we eat foods with starch, we are consuming this nutrition in the form of carbohydrates. Carbohydrates consist of sugars, starches and fiber. When you look at a nutrition label, sugars and fiber are listed. The remaining carbohydrates are various forms of starch. Unlike sugars that tastes very sweet, starches are long complex molecules and do not generally taste sweet. Unlike fiber, which passes through digestion to promote healthy bowel function, starches are broken down, digested and absorbed into the bloodstream and do not promote healthy digestive function (but see below for resistant starch as a partial exception). It's found in large amounts in rice, potatoes, wheat (including ‘white’ versions of wheat such as bread, pancakes, biscuits, pasta, tortillas), corn (including chips) and tapioca. There are also moderately starchy foods, which include: bananas, oats, rye, taro, beans and peas. 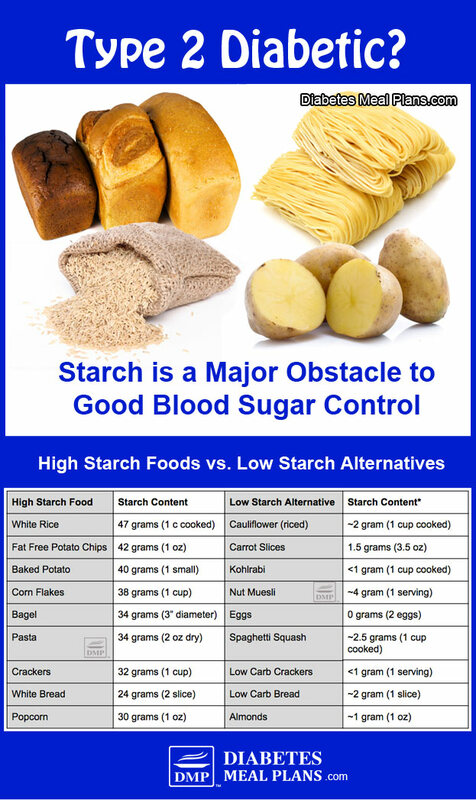 *Note: Starch contents listed above are estimates, as USDA’s official database does not list starch specifically but can be estimated based on calculations by elimination of sugar and fibers. Starch has historically been a significant part of our diets as it provides a large amount of calories and is relatively inexpensive to produce. On top of this, many starchy foods taste great and tend to be very shelf stable compared with their non-starchy counterparts. Starch provides a thickened texture giving certain foods a viscosity that is difficult to replicate without it. And starches are often used in pudding, salad dressings, sauces, and pie fillings, as thickeners and stabilizers. When we eat cooked starch (the body is unable to digest raw starch well), therefore the long straight or branched compounds are broken down into individual glucose molecules. These glucose molecules are then absorbed through the small intestine into the bloodstream where they can be utilized to fuel cells. Or if the body has enough glucose stores, the excess will be stored as fat – if there is sufficient insulin to process them and the cells are responsive to insulin. If not, as in the case of diabetes, the glucose stays in the bloodstream. Resistant starch is digested differently to other starches. It passes through the small intestine undigested – similar to soluble fiber. 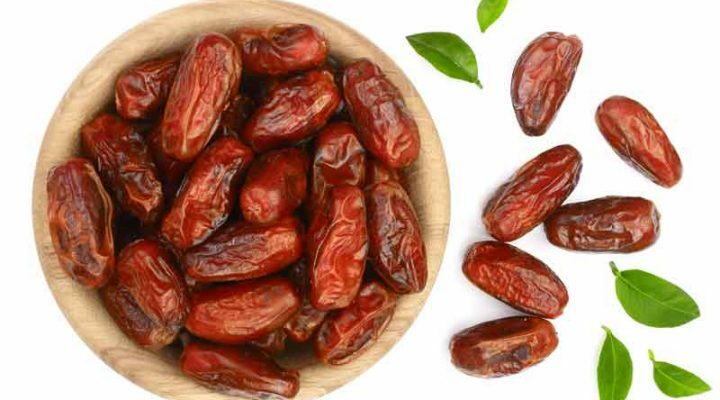 It makes its way to the colon where it is then fermented by microbes that produce byproducts called short chain fatty acids – butyrate, acetate and propionate. These unique fatty acids feed healthy gut bacteria, along with playing important roles in lipid, glucose, and cholesterol metabolism. Very little energy is extracted from resistant starch, which results in minimal impact on blood glucose levels. Resistant starch has been shown to improve insulin sensitivity, increase satiety/fullness, increase calories burned and improve colon health by reducing inflammation in the colon, thereby helping reduce/prevent cancer. Resistant starches are often destroyed in cooking, so most foods need to be eaten in their raw form or cooked, then cooled. Keep in mind that all of these foods are still high in carbohydrates, and generally these are not the types of carbs we recommend you eat. The exception being beans and legumes, in small portions only. The point is, resistant starches are better for you than non-resistant starches, but certainly not as healthy as non-starchy high fiber foods like our low carb vegetables. Even though resistant starch is considered “healthy” for the general population, it is likely they will still have an impact on blood glucose, to varying degrees depending on the person. Ultimately, this may mean different things for different people. 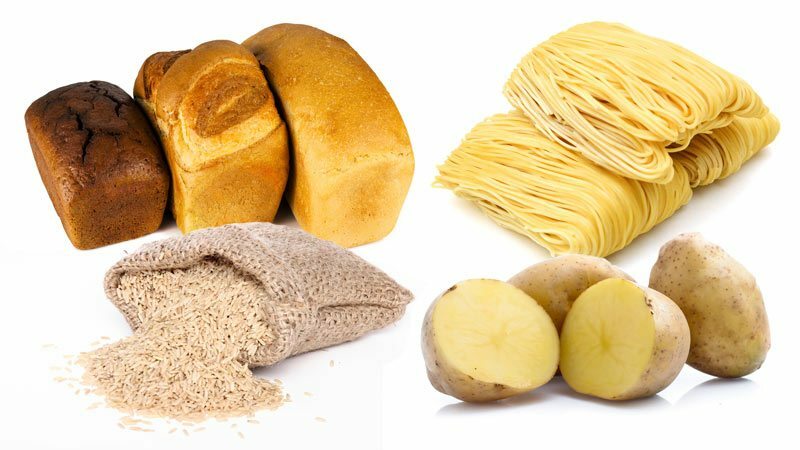 Regardless of whether you have diabetes, pre-diabetes, or no health problems, white processed starches (white bread, white pasta, white crackers etc) are virtually devoid of micronutrients and fiber and they are going to spike your blood sugar. In fact, they will spike your blood sugar in a very similar way to consuming actual sugar. Refined starches also contribute to weight gain. Just to recap what white/ refined starches are: white bread, pasta, biscuits, pancakes, pizza crust, chips, etc. 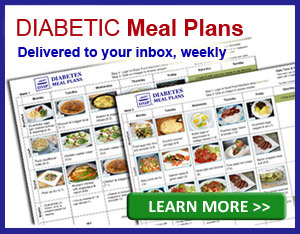 All the types of foods you want to avoid if you want better blood sugar and A1C control. 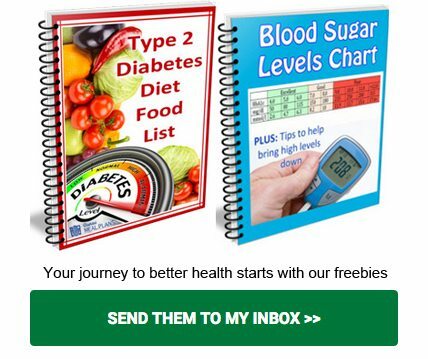 While it may not be practical to avoid these entirely, all of the time, the goal is to try because they are not going to help you achieve your diabetes health goals. There are some ‘grey area’ starches. These are what some people refer to as “healthy carbs,” which include: whole grains, oats, sweet potatoes, beans, lentils etc – foods with complex carbohydrates that are also high in fiber. Some diabetics can include these in small controlled amounts, whereas others aren’t able to eat any of them due to their impact on blood sugar. Look, generally we don't recommend any of the grey area foods, with the exception of beans and lentils – in maximum half cup amounts. Simply because they are too high in carbs and do influence most people negatively. There are only a limited few that may get away with it, and even then, do you want to risk the impact they have on blood sugar and insulin. Here's an interesting test you can try so you understand how foods impact your blood glucose levels. Eat a low carb breakfast, for instance, a mixed veggie egg scramble or some egg muffins. Measuring the change in your blood glucose over 2 hours and record the number. Eat a breakfast of complex higher-form carbs – say oatmeal. Then, compare the two numbers. If they have similar effects on your blood sugar, it’s no problem to include them in your rotation. But for many, those carbs will spike blood sugars and you want to avoid this. Therefore, those carbs are not really a healthy part of your diet as they are not going to help you regulate your glucose or A1C levels. 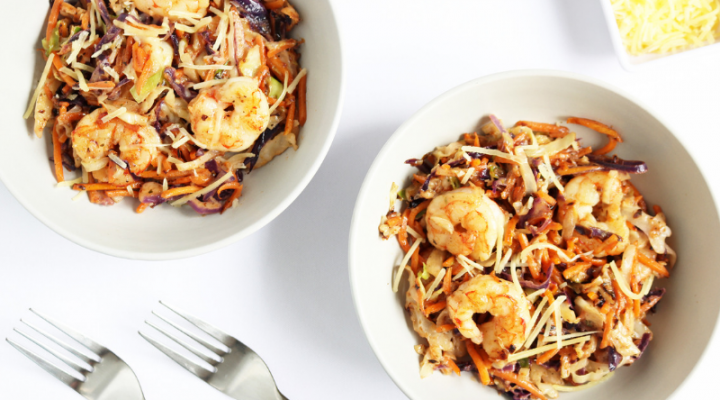 Finally, and most importantly, the big focus of your diet should be balancing out large amounts of non starchy vegetables with moderate sources of healthy protein and fat. Meaning, load up your plate with non-starchy vegetables and include your proteins and fat – that makes up the basis of a healthy diabetes meal template! It's just unfortunate that the western diet so heavily centers around starches (think-pasta, sandwiches, pizza, cereal, chips, fries, or rolls), which means it can be very challenging to make healthy choices, especially when eating out. But, it is possible. And, you will thank yourself when you do avoid these foods. Great article. I was pre diabetic for about a decade and was in denial when I was diagnose as a diabetic. However, I’ve tested my blood sugar so many times, A1C tests that I am finally convinced. My highest A1C has been 6.8 and I am on metformin but I feel I can control my blood sugar if I limit my starch intake. Foods such as pasta, rice and potatoes raises my blood sugar extremely high. I wake up with morning glucose in the 160-190 with a very high starch diet. When I don’t eat starch, I wake up with a morning glucose in the 127-135 range which is a very big difference. I do well eating vegetables and moderate protein but sometimes I miss bread, rice as the diet gets boring not eating starch. Yes- carbs on the #1 nutrient that most effect blood sugar. Ditch the pasta, rice, and bread and your blood sugar will naturally lower! 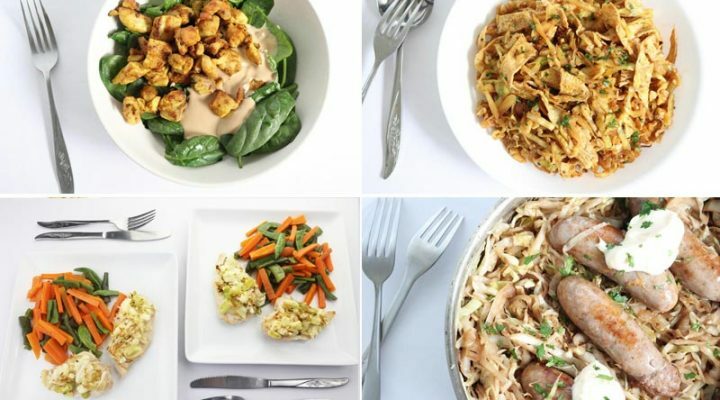 Check out this article for a great food list of what you can eat on a low carbohydrate diet. So I have diabetes. so I’m going gluten-free. but I do use the gluten-free flours I was wondering in a lot of the recipes they add the arrowroot starch and tapioca starch and those different starches are they okay for diabetics. First, if you have celiac disease (or some other true intolerance to wheat), then it’s obviously necessary to go gluten free. However, if you’re under the impression that you need to be “gluten-free” because you have diabetes, then you may want to reconsider what exactly you plan on eating. In other words, picking a gluten free bread is no better than picking a regular loaf of bread in terms of the carb content. You’re blood sugar will be much better off if you focus on the amount of carbohydrates you’re consuming daily, instead of just following a gluten free diet. You can read more about what I am explaining over here. But to answer your question about the arrowroot and tapioca starch, arrowroot is lower in carbs compared to tapioca. If you need to thicken as sauce you can use a small amount of arrowroot. Several places you mention white pasta. Do egg noodles fall into this same category? I’ve tried comparing labels but become relatively frustrated with that approach. We have a casserole I make about every other week. It goes back to our weight watcher days of long ago. I have recently decreased the 8 oz of egg noodles to 6 oz and increased the veggies in it. A serving is an 1/8 of the recipe. So far I’m noticing no adverse effects when I eat it. Of course now I eat one serving with a serving of veggies rather than the 2 servings I used to eat. Egg noodles do fall in the same category unfortunately Jim. They still use white wheat flour in most cases. So like you’ve already done, if you do eat any starches, the serving size is critical to managing your numbers.